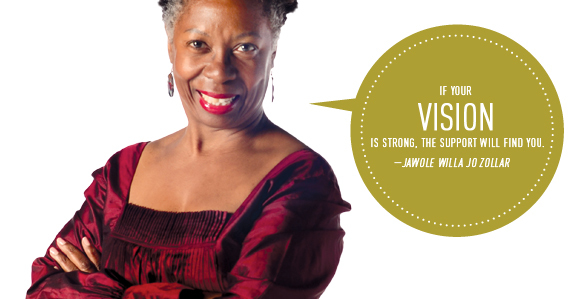 Jawole Willa Jo Zollar is a trailblazer in the dance world, renowned for her unique approach to artist involvement in civic engagement. In 1984, she founded Urban Bush Women to explore the use of cultural expression as a catalyst for social change. She has earned several awards, including the 2013 Doris Duke Performing Artist Award and the prestigious Guggenheim Fellowship. 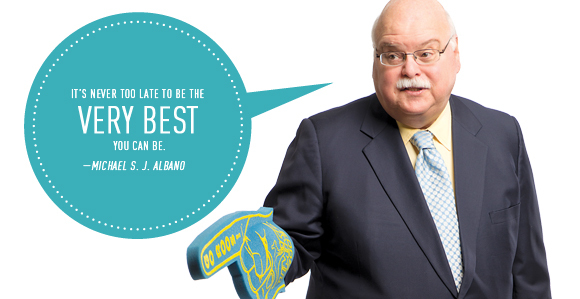 While Michael Albano is known nationally for his law expertise, his local claim to fame is his passion for Roo blue and gold. For more than 45 years, Albano has been a bedrock of alumni support and advocacy for the university and a fixture in the fan stands at Roos athletics events. 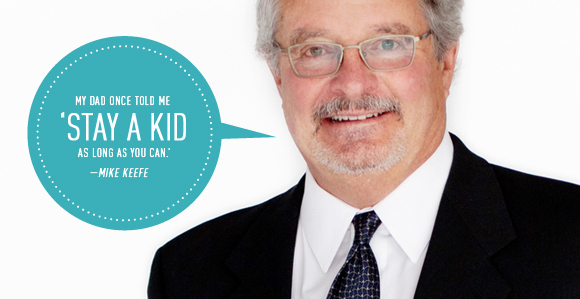 He is a past president of the UMKC Alumni Association Governing Board and past chairman of the UM System Alumni Alliance. In 1929, the first graduate of three generations of Waldmans was admitted to the Kansas City School of Law (now the UMKC School of Law). David Waldman (above) graduated in the top 5 percent of his class. 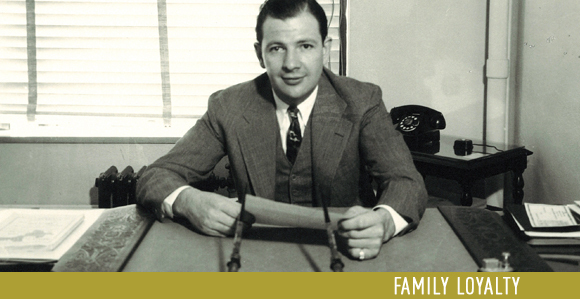 Since then, nine of Waldman’s family members have attended UMKC to pursue degrees in law, medicine and business. His grandson Reid is a current student. Daughter of a Chinese diplomat, Bambi Nancy Shen endured internment in Japanese concentration camps as a child, surviving hunger and bombing air raids that came close to taking her life. She eventually traveled alone to the United States to attend college and triumphed as an educator, business woman, mother, wife and philanthropist. 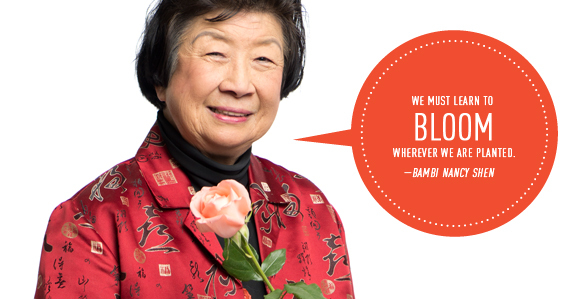 In 2011, she published her memoir, The Uncrushable Rose. Mike Keefe began dabbling in drawing editorial cartoons as a mathematics major at UMKC. In the midst of the Watergate scandal, he found himself “drawn to Richard Nixon’s nose.” His potential career in math went by the wayside as he pursued his hobby, which turned into a career at The Denver Post. Thousands of drawings later, Keefe won the Pulitzer Prize for editorial cartooning in 2011.